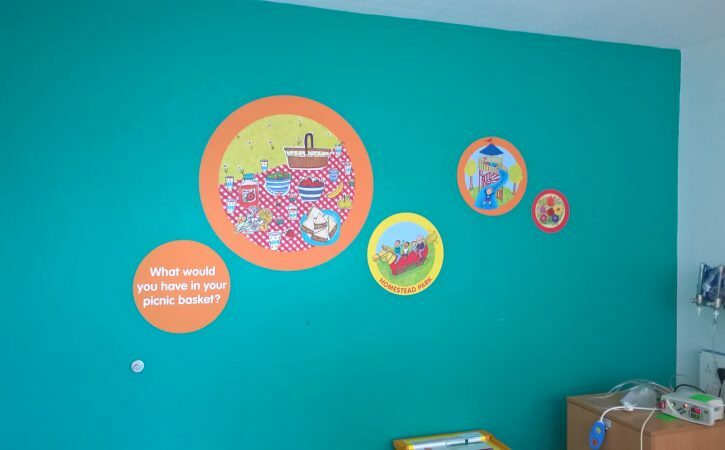 Brighten up a blank space with eye catching wall graphics. 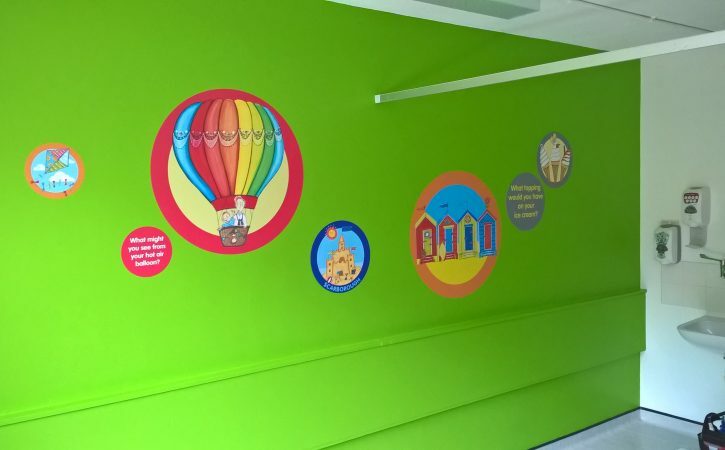 Harrisons Signs printed and applied this eye catching artwork at York Teaching Hospital’s Children’s ward working with the Trusts Art Team. 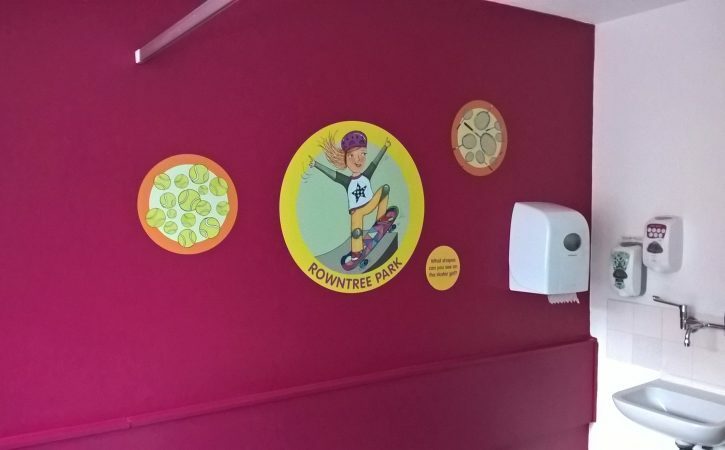 The Trust’s Estates Team freshened up the walls with a lick of paint and a bright new colour scheme, ready for the addition of child-friendly illustrations. 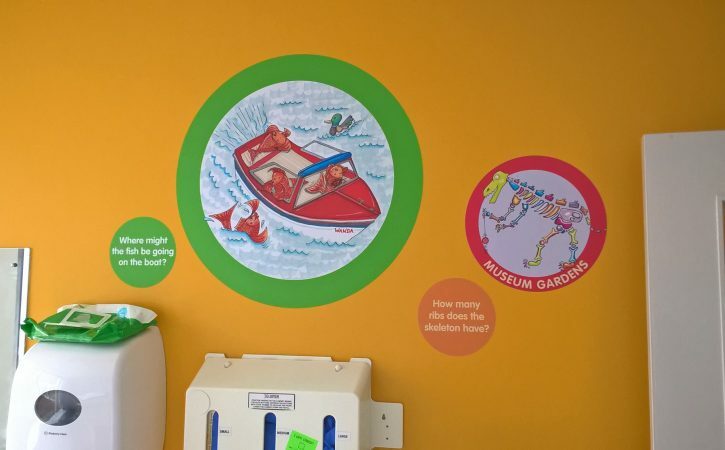 The Arts Team commissioned local illustrator Tanya McClelland to produce the artwork, working with patients, visitors and staff to choose the final designs. 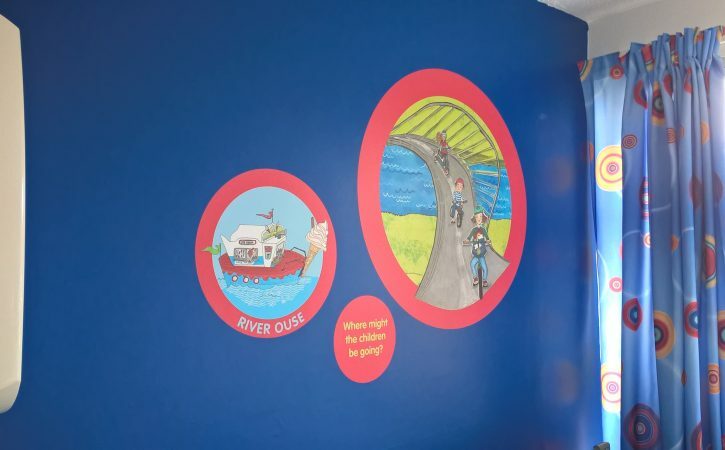 Tanya’s playful illustration was perfect for the project, with designs taking inspiration from parks and outdoor spaces across the city of York and the beaches of Yorkshires East Coast. Hospitals are traditionally known for their clinical appearance. 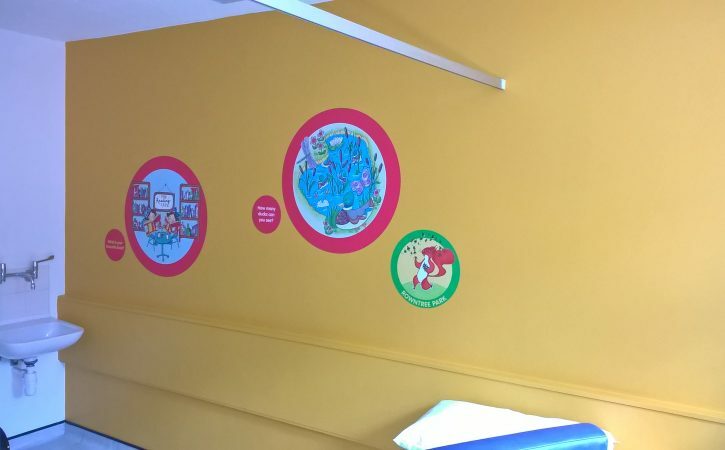 The new look for the children’s bedrooms has certainly added some brightness and colour, giving the children something stimulating to look at.